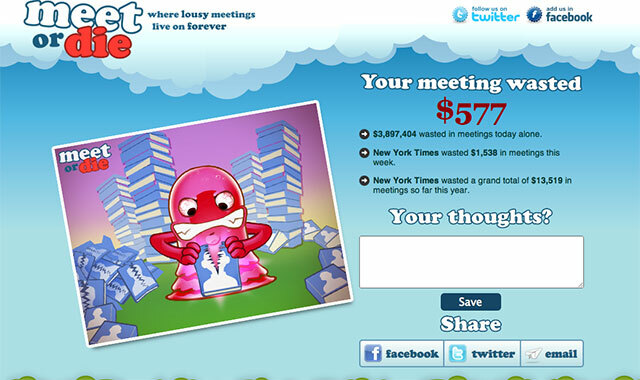 This site estimates what the cost of a meeting is based on the employees present and what industry your company is in. While I don’t believe all meetings are wasteful, I believe a majority of them are. This is a super cool way of seeing if you are being efficient with that time spent and if a particular meeting is actually worth having. ← US integrating Canadian Dollars into the Banking System?